Last week, I helped organize the Living Games Conference in Austin, along with Sarah Lynne Bowman, Ashley Zdeb, Emily Care Boss, and many other wonderful people. The organizers wanted the community around Living Games Austin to have certain values, and we user design to reinforce them. Many gaming communities are accidentally designed by the circumstances that surround them–we wanted our community design to be intentional. And we used safety practices and social rules to foreground our values. In part one of this post, I laid out some of the Living Games Austin team’s social design goals and how those played into how we set up the conference schedule. Today, in part II, I’ll talk about safety, communication, and social tools. People won’t take social risks unless they feel comparatively safe. I was not involved with the safety team, who has a deeper understanding of all of this, and I hope they will make a longer, more detailed post soon. 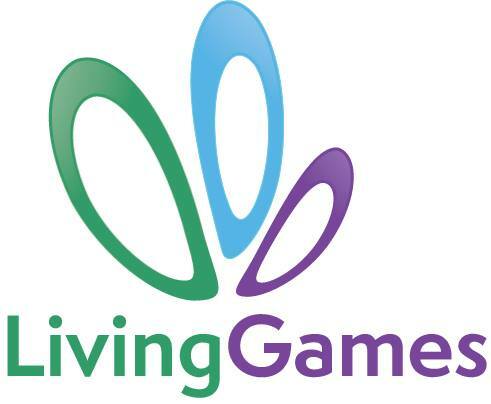 Lots of participants used the various safety features at Living Games, which means that on some level, they were successful. As with safe words like cut/brake, I also think that the existence of these safety features set expectations for the social scene that helped co-create the conference environment. Here’s a fast outline of some of the tools used. Living Games Austin had one. This established a base level of comprehension of the community we were trying to create. In addition to making a statement about what we wanted, it also provided a mechanism of what to do if someone violated the social contract. A social contract is no good without a procedure to back it up. We empowered a small number of people to make difficult decisions for the convention. This included one member of the core organizing team (Sarah Lynne Bowman), and two trusted others (John Stavropoulos and Jack Weeks). The safety team forged our policies and kept complaints and concerns–before, during, and after the conference–in confidence, and had the full backing of the rest of the organizer team. They also had an impressive internal procedural document that will soon be available online, if you’re interested in borrowing or iterating it for your own events. In addition to the safety team, we also had at least two safety volunteers on duty each day until 2 am. If you were having trouble with someone, or needed help, you could find one by the sanctuary space (more on that below). The safety volunteers’ job was to be nice to you and help you find what you needed, whether that was a friendly ear, quiet space, or a hug. They sat in the main area outside the Sanctuary Space, which was close to the reg desk, and socialized. We hoped this would provide a visible sense of safety while also demonstrating that the team was approachable and part of the conference. In practice, this meant if you had a negative experience, you could go to a particular place to get help. This was a room with low lighting, a fuzzy rug, pillows, blankets, coloring books, relaxing music, and couches in it where you could go to be quiet and get your social energy back. I went in there one day when I was overstimulated and rolled around on all the pillows for fifteen minutes and felt so happy. We intended it to be a room where multiple people could go to be calm together, but in practice it seemed like only one or two people used it at a time. Perhaps in the future, if there are enough space resources, we could roll it into two rooms. One room for private talks with the safety team, and another room for group quiet. Placing this space near the reg desk meant that the volunteers were in a central location and were at a lower risk of getting bored. We also made room for keynotes and open conversations around safety at the conference. All four of our Community keynotes focused upon emotional safety in and out of game. We also had a workshop on handling crisis management in role-play communities, as well as a roundtable discussing policy, deliberation, and decision making when issues arise. Our goal was to make transparent our practices involving safety and to create an open dialogue with other organizers and players, as well as to give people some hands on practice for how to deal with the complexities of these issues in the moment. Larpers are used to following rules and guidelines to create temporary realities. We used this to our advantage by setting some particular social rules that we thought would create the community we wanted. By making these rules explicit, we tried to ensure that everyone was on the same page. We also wanted to head off some common convention complaints off at the pass. People are afraid of feeling unwelcome in conversations, feeling shut out due to fancypants terminology, and heated fights that go south. Add an open chair to your conversation group to signify that you’re open to meeting new people. When a new person sits in the chair, bring a new chair to be the open chair. This rule helps people mingle. It eliminates some of the anxiety folks feel when approaching a group that they don’t know. It allows groups to be intentionally friendly to one another. It establishes meeting new people as a baseline and a social good. It helps grease the social wheels and combat factionalism. When someone new joins your conversation, let them know what you’re talking about in one or two sentences so they can participate. Yes, this is a normal rule of conversation, but by making a rule about it, we’re making it extra obvious. Sensitizes people to know that they’re welcome when someone else catches them up. Also sensitizes speakers to the fact that not everyone is familiar with their tradition. Good conversations are like good freeform scenes: everyone gets to take a turn in the spotlight. This means that sometimes you have the floor, and sometimes you aim the spotlight at another participant. Again, a normal rule of conversation, but foregrounding it sets the expectation that everyone has something to contribute and sensitizes people to be inclusive to others in conversation. You can have vigorous discussion, but give your partner the benefit of the doubt and strive to be better friends when you leave the conversation than when you start it. This is our ideal for community engagement. Basically, conflict is a necessary part of all relationships and communities. Successful communities know how to acknowledge conflict and manage it well. Disagreeing is a relationship skill and a community skill. We adopted this rule from the Larpers BFF forum for several reasons. We wanted to minimize vitriol and bad feelings. We also wanted to encourage discussions, even disagreements, if they would lead to greater growth and understanding. If you see something that needs doing, lend a hand. In a successful community, everyone feels ownership. Asking people to pitch in is the embodiment of that ownership. If you’re not having fun in a social interaction, program item, or other event, it’s OK to leave and seek your own fun elsewhere. You can step out of a situation at any time and for any reason. This isn’t a magic wand–it’s hard to leave any social situation. But stating this rule explicitly makes it easier. At the same time, it incentivizes people to do the thing they need/want to do, rather than stay trapped and miserable because of invisible social rules. It also encourages self-care–the practice of meeting your own physical and psychological needs first, so you can be a better member of the community. When someone raises their hand, you should also raise your hand and get quiet. To applaud during a speech, raise your hands above your head and waggle them in the sign language version of applause, which looks like this. In big groups, it’s just plain practical to help folks get quiet fast, and not to interrupt a speech with noise every time you want to give kudos to the speaker. On a meta level, having our own community-specific motions also builds community culture and bonds us together with shared action. It was a literal wall, filled with pieces of paper that contained simple, plain-language definitions of different terms of art and theory. Folks could add terms to it if they wished, and some did (more on this in a later post). The goals of the Wall of Theory were to establish some shared terminology–with participants from many different traditions, it was likely that we didn’t all know the same words. Also, sometimes it’s easier to read a wall than to ask in the middle of conversation (though we told folks it was cool to do that too). In short, it was there to help prevent language that sometimes sounds academic from preventing genuine interaction. We could have improved the Wall of Theory some by enabling folks to ask for definitions of terms they didn’t understand as well as adding their own terms of art to it. Every convention badge had a place where you could write your preferred pronouns, which was an easy way to know how best to refer to a person. By encouraging everyone to write down their pronouns, we hoped our trans and genderqueer participants would feel more comfortable doing so. People who didn’t want to write down their pronouns were not required to do so–some plain forgot in the hubbub of registration–but tags indicated our desire to create a safer community. We also hope it worked. If you can hang a simple sign on a bathroom door and make people of more genders feel comfortable, why wouldn’t you do that? Our hotel had some very specific rules about gender neutral bathrooms. We were only permitted to hang signs in the back bathrooms of the hotel. We made sure to establish this requirement in our contract. At one point, the staff tried to get us to take down the signs at one point, as not all hotel guests were attendees. Get it in writing and stick to your guns. THAT’S GREAT, BUT DID IT WORK? No one game design fits all players, and no one element of social design fits all conference participants. Taken as a complete set of practices, yes, our social design worked. Participants have repeatedly said that they felt comfortable, included, and as if the space was indeed safer. From our post-event questionnaires, we can tell that not every technique worked for every person–some people weren’t able to use the sanctuary space, some people didn’t love the shared meals, and an epidemic of imposter syndrome circulated–but different techniques worked for different people. Overall, we feel like things worked pretty well, but of course, we still have room for improvement, iteration, and trying things different ways to produce a different experience. *I’m describing the social tools Living Games Austin used, but I don’t deserve credit for creating them. Credit for social design should go to the entire Living Games Team of organizers and volunteers, as well as to the many conventions we borrowed techniques from. In terms of safety tools, our safety team was influenced by Wiscon’s code of conduct and Burning Man’s tradition of sanctuary space, and brought much of their own experience to the table. We borrowed many of our social tools (open chair, open door, applause/silence, catch people up) from the Knutepunkt tradition. This entry was posted in Blog and tagged Ashley Zdeb, conference design, Emily Care Boss, Living Games Austin, Living Games Conference, Sarah Bowman, social design, social engineering by Lizzie Stark. Bookmark the permalink.